While the entire focus of the US presidential election is locked at swing states where it is difficult to judge for sure on the preferences of most voters, the Democratic Party's staff quietly rocks the states which traditionally had the pro-Republican image, also known as red states. Now it is the turn of Utah, the core state of American Mormons, who, traditionally for US politis, reestablish themselves through the Republican Party. 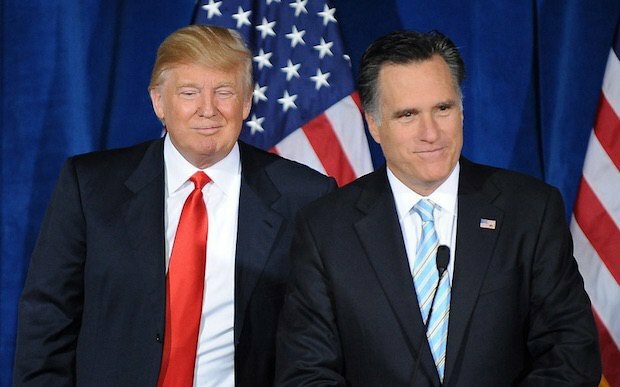 One of the leaders of the Church of Jesus Christ of Latter-day Saints (LDS), Mitt Romney, was the GOP candidate for president in 2012 and the head of the Salt Lake City Olympics organization committee in 2002. He is extremely popular in the state where over 60 per cent of residents go to LDS churches. This antagonism between Romney and Trump allows Hillary Clinton to turn to Utah voters for support in the coming election. It is important to say that during the Republican primaries, Utah became one of the states where Trump failed to win and where he was defeated by Ted Cruz. This happened on the heels of a public conflict between Romney and Trump. Despite its conservative image, Utah is split into two unequal parts of voters. Salt Lake City is a rather liberal city which had only Democratic mayors since 1976. The capital of the Mormon state elected openly gay mayor Jackie Biskupski in January 2016. The situation outside the state capital is more beneficial for Trump and GOP however the waves of migration of the last 20 years had their effect, diluting the demographics and thus the solid base of support for the Republicans. Add to this objective picture the conflict between Romney and Trump – and you will see that Hillary is doing everything right by appealing to Utah residents. In this sense, the fate of six votes from the state is really up to Romney and the LDS elite. If they publicly support Trump or at least stay neutral, the votes will certainly go to the Republican candidate. But if the game in favour of Clinton (even not public) begins at the level of the church, Trump's positions in the state can be seriously rocked. The Mormons' mobilization network resource is one of the most powerful not only in the USA but in the world too. Considering the Clinton staff's recent maneuvers in this direction, one cannot rule out that major haggling is already underway between the Democrats and the followers of Joseph Smith and Brigham Young. Independent presidential candidate Evan McMullin looks very interesting in this context because he is a former Republican, a respected Mormon and the native of the large Mormon city of Provo. McMullin has already presented himself as an alternative option to Trump for conservative voters who are not planning to support Donald. The very fact that McMullin joined the game may attest to the existence of certain agreements between the LDS elite and the Clintons. It does not mean that McMullin's card will necessarily play a big role in other states but in Utah it could become a true trump card. 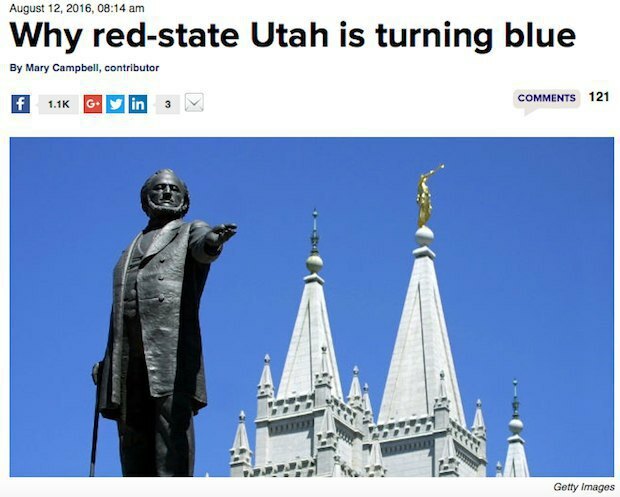 If this happens, Utah's electoral status will change from red to blue and become one of the main sensations of the coming election.